Sixty years ago, while thousands of Cubans were celebrating the fall of the regime of Fulgencio Batista, a fevered atmosphere filled with a mixture of hype and hate was taking over Havana. Few foresaw what was coming next. On January 1, 1959, the Republic of Cuba was killed. Not many wept for her loss — some were too busy packing their bags, others were taking advantage of the political vacuum by looting the capital’s shops. Those republican institutions not destroyed under Batista’s dictatorship were savagely dismembered in the following months and years by the Castro regime. Cuba’s national Congress never returned to session at the Capitol or anywhere else, the name of the Havana Hilton hotel was changed. Christmas, the bars and cabarets of Havana, the independent unions, religious schools, private clubs, businesses large and small, the last vestiges of what Cuba had been before communism; everything was destroyed, expropriated or otherwise erased from people’s lives and minds. The revolution never hid the contempt it always felt for the greatest symbol of the Republican era: Havana itself. Its glorious buildings, its beautiful parks, its grand mansions, statues, theatres, and museums, maybe all too bourgeois for the revolutionaries, too ostentatious perhaps, or probably too gorgeous to have been built by evil capitalists and imperialists. The ”bourgeois Havana” that was once one of the world’s most socially and culturally rich cities gradually collapsed. Nothing more was built after 1959 that would return the crumbling capital to its former splendour. Perhaps the bourgeois Republic had been cruel and unequal, as well as glamorous, but the aftermath of the revolution was violent and grotesque — as grotesque as the Soviet brutalist architecture that filled the Havana suburbs with hundreds of square housing complexes voids of grace. Perhaps, without realising it, Havana had become a permanent war zone, in which a battle has been waged for 60 years that never seems to end, a battle between tyrants and ordinary people that resists and gives life to the city, generation after generation. Fidel Castro knew that Cubans in the 1950s would not accept him as some kind of socialist god, as the North Koreans did with the Kim dynasty. Instead, by insisting on calling his political system “the revolution” he made people believe in the significance of an ideal. It was also a conscious attempt to replace the word called ”Republic” that Castro hated that much. For many, “revolution” came to mean the process of liberation from Batista’s dictatorship, the battles in the mountains of the Sierra Maestra, and ideals that promised equality for all, a shared sugarcane harvest, ties to the Soviet Union, anti-imperialism, the Communist Party, Che Guevara and Castro himself. If you had a house, if you ate the state rationed food, if you had free health-care and education, it was thanks to the ”revolution”; if you suffered, if you went hungry, if you hated, if you were oppressed, if you denounced your “anti-revolutionary” relatives to the political police, if together with a mob of angry neighbours you threw eggs at the political dissidents and homosexuals, it was all for the ”revolution”. Every time a Cuban referred to the “revolution” instead of the Republic or the government, or simply to Cuba, he stripped himself of his status as a citizen and became a soldier. Innumerable human tragedies were justified in the name of Castro’s revolution. However, the regime’s idealised version of Cuba’s Revolution had probably ended many decades before the people fully realised. You could even argue it ended almost as it began, when the communists decided to execute hundreds of people without a fair trial. Or maybe it ended on August 23, 1968, when Castro gave a speech justifying the invasion of Czechoslovakia by the armies of the Warsaw Pact, accepting the ”right” of the Soviet Union to prevent the independence of one of its satellites, in blatant violation of international law. That night, Castro formally cancelled Cuba’s sovereignty and explicitly accepted the ”right” of the Soviet Union to invade the island if the same type of revolt happened there. Today, ”revolution” is a meaningless platitude to most Cubans — people prefer to call the way they are governed “the system”, or “the thing”. Words lose their meaning, they die when they have nothing specific to refer to, when they are repeatedly used without precision, when they really make no sense to anyone. 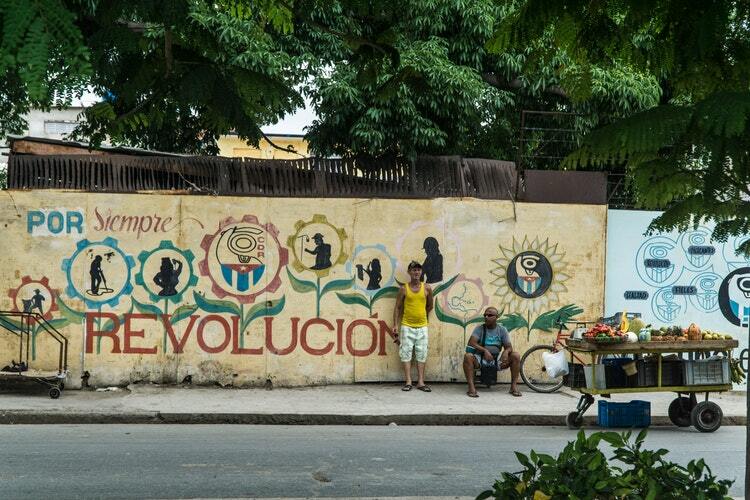 Today, young Cubans, hungry for knowledge, modernity, and technology, prefer the word “evolution”. That revolutionary change of wind which once inspired ordinary people is today responsible for the destruction of millions of families. They include those who managed to flee the island, those who were executed, sent to forced labour camps, committed suicide, or died trying to reach America on make-shift rafts — not to mention the millions of people who remained to live under an oppressive and economically backwards regime. There is not much ”social justice” to celebrate in Cuba today. There is a stark economic abyss between the heads of government and average workers who earn less than 30 dollars a month. The new rich bourgeois are no longer big businessmen capitalists and entrepreneurs, instead, they are bureaucrats, relatives of important military personnel and members of the Communist Party who control the most luxurious hotels, restaurants, and bars in the island, all of which are tailored almost exclusively to wealthy foreign tourists. Today, almost nothing remains of the original revolution, which promised civil liberties and opportunities for all. Instead, 60 years on the socialist regime’s foremost achievement has been keeping its people in a poverty and oppression through a strict web of surveillance and economic control — that is nothing to celebrate.